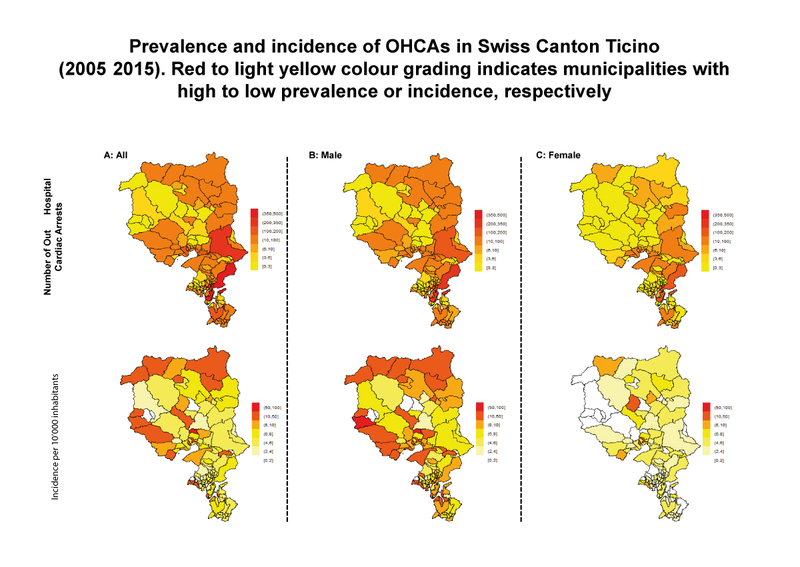 Among the collaboration between the Ticino Cuore Foundation, the Cardiocentroticino and the University of Zurich, an analysis was conducted on the heterogeneity of cardiac arrest cases that occurred outside the hospital (OHCA, Out of Hospital Cardiac Arrest) and which proposes the creation of a predictive model useful for preventing and reducing OHCAs in Ticino. 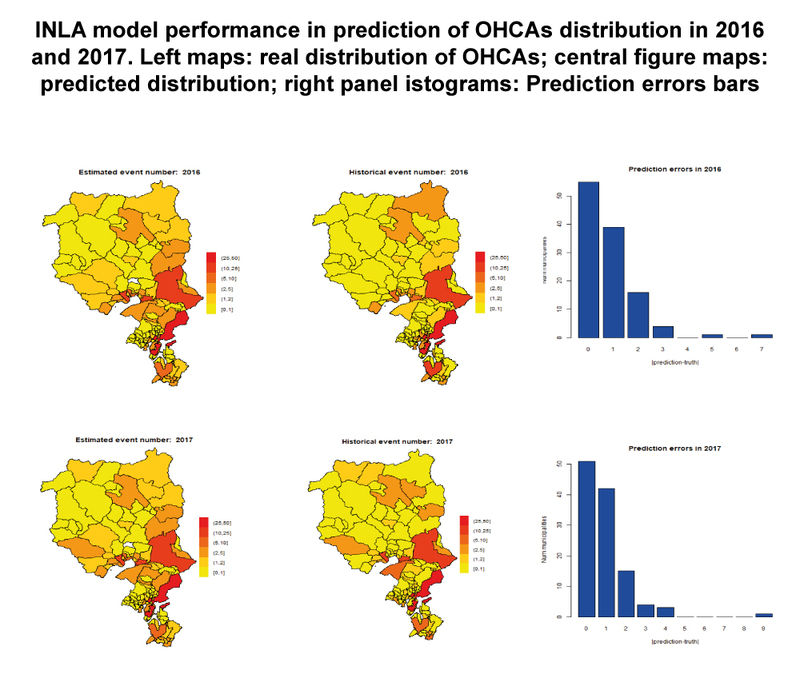 To conduct this analysis, the study team collected data on all cardiac arrests that occurred OHCA between January 2005 and December 2017, and then recorded and geo-localized them in a prospective way. Subsequently, the demographic characteristics (gender and age distribution) were collected at the individual municipality level by the Federal Statistical Office. The count and incidence were calculated at the level of each municipality, taking into account the gender and age distribution. Finally, a “validation group” was generated to try to estimate the percentage of future cardiac arrests in the Ticino area. Out of a total of 2129 cardiac arrests occurring outside a hospital, 117 are those registered in the municipalities of the Canton Ticino. Of these, 70% occurred at home where 68% of cases were male and with an average age of 71 years. The team also highlighted that there is a concentration of events in the southern part of Ticino, with a distribution of events between the Ticino valleys. Furthermore, the largest number of cases was found in the most populated urban areas, although there are some less populated municipalities, but with a greater presence of male people with an average age of over 80 years. The test performed on the validation group made it possible to validate the predictive model, to such a point that was possible to demonstrate how, taking into account the territorial distribution of gender and age, up to 90% of the variability of events can be predicted. A revolutionary approach which, together with the continuous preventive measures proposed by the Ticino Cuore Foundation and the network of First Responders using Momentum, would help Ticino to be the first region to be able to prevent cardiac arrests outside the hospital. Momentum – All-in-one Emergency management System is fully developed in Switzerland by DOS Group SA.